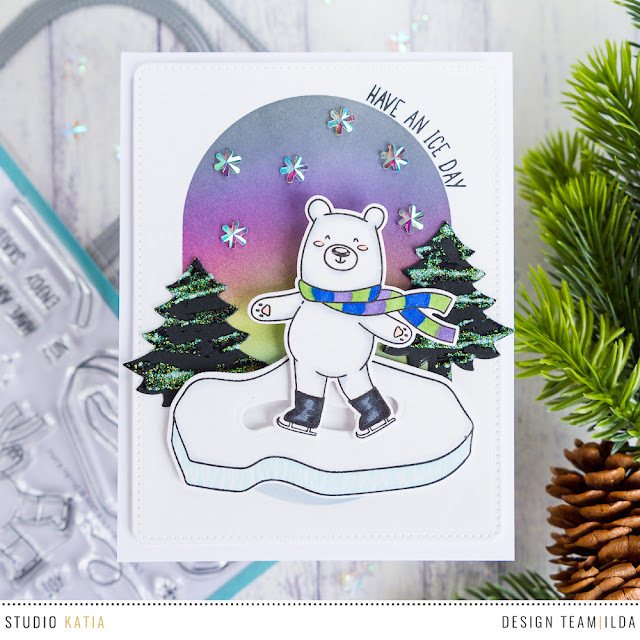 Today is Day 2 of Studio Katia’s September 2018 Release Preview. Lots of fun new products from Studio Katia coming your way! Click → HERE for Day 1 Inspirations! 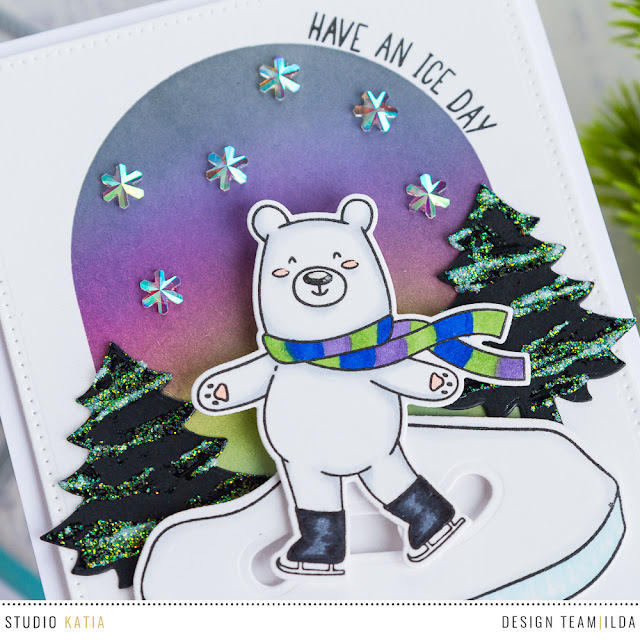 For my card today I created a fun slider card, that has Kobi Bear Sliding Back and forth on the frozen pond using stamps and dies from the new Kobi's Ice Day Set. To make the starry sky background I used the large oblong window die from the Dotted Patterns Set 3 to cut out a mask and then used distress oxide inks to blend out the night sky. I also added these gorgeous crystal Iridescent Ice Flakes gems to make the night sky sparkle. The trees in the background come from the Winter Kobi Die Set. Here is a peek at Kobi in action! Studio Katia will be doing giveaways on throughout the release this week so don't miss your chance at winning some awesome prizes. Stop by the SK Blog for details!